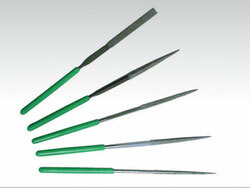 These easy-to-handle diamond needle files are with most popular shapes. They are flat, half round, Square, triangular, round, warding, knife, triangle one side, crossing, oval, slitting and crochet. 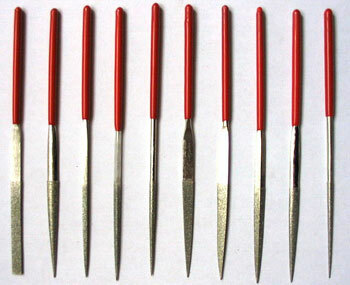 The needle files will become more durable if they are Titanium coated or chromium coated. Each set is normally packed with PVC transparent pouch. Kit assortments are flexible as per your requirement.